“Well, in the ancient world, the word ‘genius’ was not so much used about individual people, it was used about places, and almost always with the world loci. Genius loci meant ‘the spirit of a place.’ And we all know what that intuitively means. We all have favorite places in the world, and it may be a seashore where you’ve got this ancient conversation between the ocean and the land and a particular geography of the way the cliffs or the beaches are formed. But it could’ve been the same in the ancient world. A little bridge crossing a stream with a pool at the back of it and a willow hanging over the pool; that place would be said to have a genius loci. But a more sophisticated understanding would [be that] it’s this weatherfront of all of these qualities that meet in that place. So I think it’s a very merciful thing to think of human beings in the same way — that is, your genius is just the way everything has met in you. We’ve all experienced the power of place: those moments when we’re immersed deeply in experiencing the world around us, and what’s happening there is real and meaningful. Learning in these moments is organic and visceral. There’s much to learn from the places we inhabit: from traveling across the globe to getting out into our own communities. Yet, formal learning experiences that leverage the power of place remain the exception and not the rule. Over the years, we’ve visited and learned from hundreds of schools. We’ve seen innovations in teaching and learning that feel like a sneak peek into the future. And while we do believe in the potential of technology to personalize learning, we’ve discovered that technology is not a prerequisite for personalization. In fact, many of our favorite learning environments are innovating through analog means or effectively using limited but deliberate technology. What are some common characteristics we’ve noticed about educators in these high-impact deeper learning models? They prioritize engagement and authenticity. They know how to leverage local assets including parks, public spaces, museums and businesses to power partnerships. They get out into the world for their students and for their own learning. And whether they know it or not, they’re living, breathing examples of Place-Based Education. We set out to learn more about Place-Based Education (PBE) and will share what we’re learning in a blog series and culminating set of implementation guides. We’ve partnered with Nate McClennen and Teton Science Schools (an organization with a rich history of PBE dating back to the 1960s) to share their insights and expertise. And because we know there are so many of you out there doing this great work, there’s more information below about the ways you can also contribute to this project. While we really believe PBE deserves more attention in national conversation about innovations in teaching and learning that can boost access and opportunity, the concept of place-based learning is certainly nothing new. In some ways, learning has always been locally connected. Indigenous peoples only had local geography as a classroom. Along with storytelling and myth generation, education was inextricably linked to place. In modern educational history, formal PBE has reemerged at various times to address the disconnect between schools and communities. In the early 20th century, John Dewey affirmed the usefulness of this approach to increase relevance and agency for students. In the 90’s, research work by Greenwood, Smith and Sobel, and the significant investment made by the Annenberg Rural Challenge, allowed PBE to reemerge as an important component, especially for rural education. Groups such as the Center for Place Based Education out of Antioch, Place-Based Education Evaluation Collaborative and the Environment as Integrating Context (EIC Model) all sought to provide frameworks and support for teachers and schools interested in connecting schools to community. Many of these organizations focus on the environmental context of place. With standards-based reforms came a narrowing of the curriculum and a preoccupation with basic skills. Learning about in and with the community remained on the fringe of educational innovation, never quite adopted by the mainstream. Schools such as Journeys School, Crellin Elementary,Kentucky Valley Cooperative, Hood River Middle School and Walton Rural Life Center all provide examples of modern PBE implementation. Networks such as Expeditionary Learning, New Tech Network and Big Picture Learning schools bring the community into schools and students into the community. PBE contributes to deeper, richer learning experiences that are highly relevant and engaging. Students experience higher degrees of agency in PBE environments, boosting their motivation and persistence. Students who experience PBE have a greater appreciation for their places they experience, including their own communities. With the emergence of project-based and personalized learning as the next step in school transformation, the time is right to take these approaches one step further by focusing the project and personalized learning on locally, regionally and globally relevant projects. With the increase in student agency, the students gain experience in the application of knowledge and the community gains a massive resource in the human capital of willing and eager students wanting to improve the long-term health and well-being of the community. 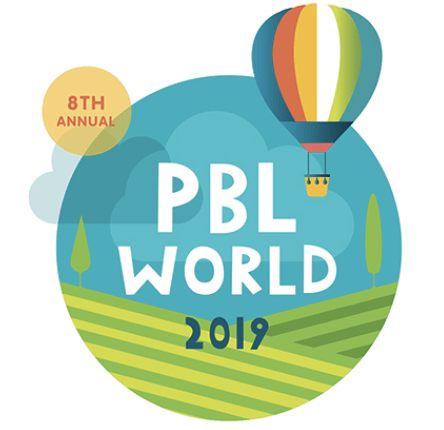 As ecosystems of learning emerge, PBE sits squarely in the middle of formal and informal education partners, serving as the philosophical connector to all potential learning experiences. PBE can take many forms ranging from informal to formal learning, from out-of-school individual/family experiences to teacher-led or school-sponsored activities and from one lesson/project/unit/course to a school fully-designed around a PBE mission. PBE is a learning strategy that educators can implement in urban, rural and suburban areas. The opportunities are truly endless. We believe PBE is currently missing from the national conversation about powerful personalized learning models that can boost access and outcomes such as blended learning, student-centered learning, competency-based learning, deeper learning, project-based learning and others. We are held back by an overemphasis on technology as the sole enabler of powerful, personalized learning. We believe that adding PBE to the global education conversation will offer a new entry point into high-impact, personalized learning for all students, teachers and communities, and that’s why we want YOU to get involved. This project will explore and report how PBE addresses the challenges above by researching and sharing student, teacher and thought leader perspectives on the benefits of PBE, how PBE addresses issues of equity and access, the relevance of PBE to personalized learning movement and entry points to PBE implementation. We’d love to see your photos, videos and links to programs and examples. We’re also looking for great schools and communities to visit so we can experience place-based learning ourselves. Share your examples with us on social media using #PlaceBasedEd. You’ll find sample tweets and more ways to share and contribute on our PBE Campaign Page. This blog is part of our “Place-Based Education” blog series. To learn more and contribute a guest post for the series, check out the PBE campaign page. Join in the conversation on social media using #PlaceBasedEd. Couldn’t agree more–happy to contribute to this PBE campaign with people like you!